SINGAPORE (March 24): Most Asian currencies were steady to slightly lower on Friday, ahead of a US vote on a healthcare bill that is seen as a gauge of the Trump administration's ability to implement its policy goals. US President Donald Trump's struggles to secure passage of the bill have stirred renewed concern about possible delays to pro-growth economic policies such as tax cuts and infrastructure spending. Such uncertainty has dampened investors' appetite for risk and blunted the momentum of emerging Asian currencies, which had rallied after the Federal Reserve raised interest rates last week but stressed that further rate hikes would be "gradual". Riskier assets, including equities and emerging Asian currencies, will probably come under pressure if the US House of Representatives fails to pass the new healthcare bill in a vote expected on Friday, said a trader for a Japanese bank. "There will probably be some risk-off moves," the trader said, adding that failure to pass the bill could increase uncertainty about the Trump administration's ability to carry out its policy agenda. The Singapore dollar, the Chinese yuan and the Thai baht all eased about 0.1%, while most other Asian currencies were steady on the day. 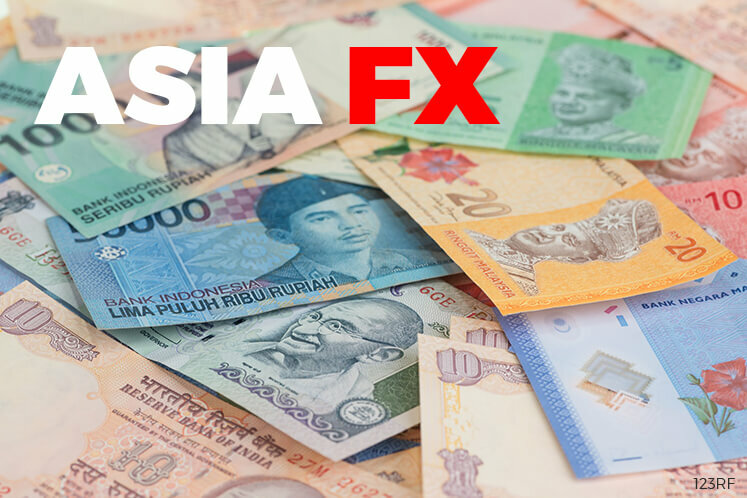 Emerging Asian currencies are likely to be supported as long as the healthcare bill is eventually passed by US lawmakers and the Trump administration follows that up with pro-growth economic policies, said Sim Moh Siong, FX strategist for Bank of Singapore. A focus on carry trades in higher-yielding assets is likely to return, unless US inflation data starts to surprise to the upside and stirs concern that the Fed could raise interest rates more aggressively than the market now expects, he added. "As long as there's no major hiccup in terms of the policy agenda, in the sense that there could be a delay but eventually they will pass something through, the focus on carry will come back," Sim said. Sentiment towards Asian currencies improved in the past two weeks, according to a Reuters poll published on Thursday. Sentiment toward the Chinese yuan was the most upbeat since April last year. Bullish bets on the Indian rupee rose to the highest since May 2014. Such a shift though, suggests that Asian currencies may be susceptible to position unwinding if the US dollar bounces. If the new US healthcare bill is passed by a decent margin, that could bring some life back to the reflation trade and lift US bond yields, said Christopher Wong, senior FX strategist for Maybank. Against Asian currencies, the US dollar could advance especially against the offshore Chinese yuan, the Singapore dollar and the Japanese yen, since those currencies are sensitive to moves in US bond yields, Wong said.